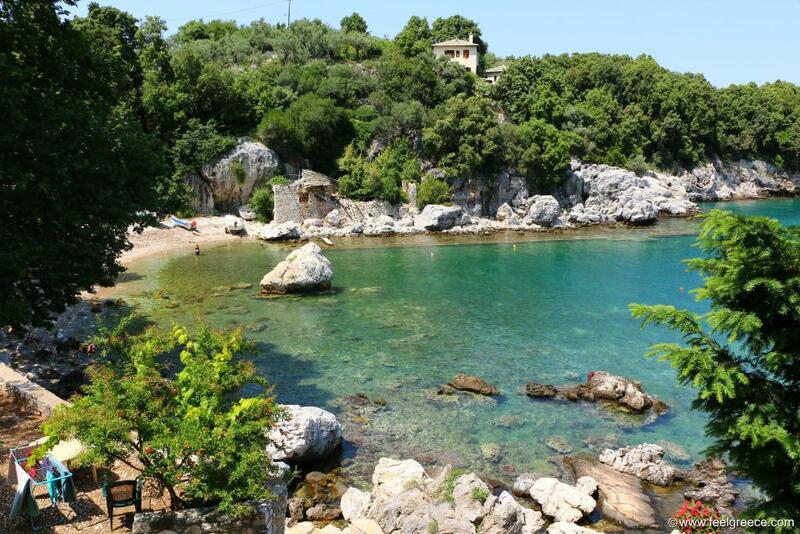 Mylopotamos beach. 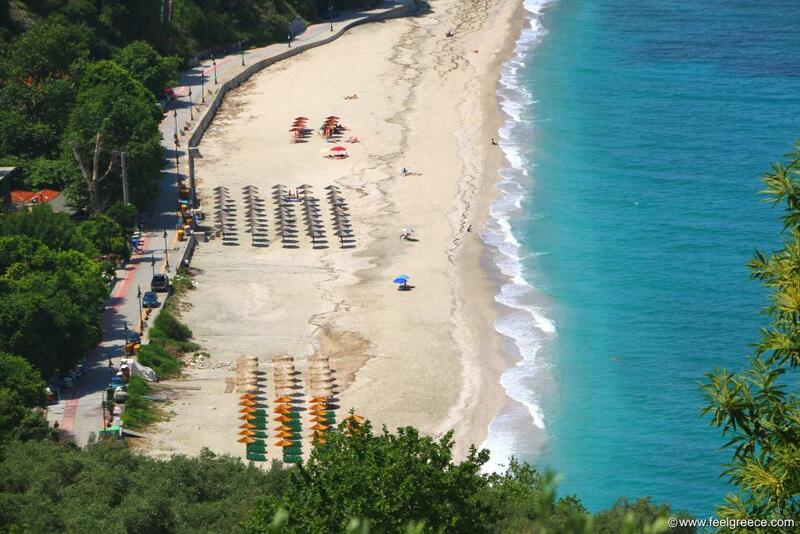 There are many scenic beaches on Pelion but this one is the most photographed. The traditional village of Vizitsa. 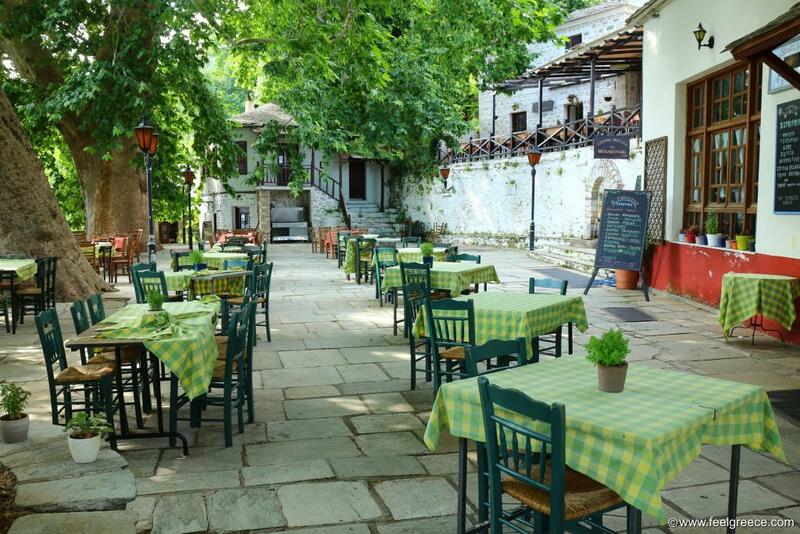 Each of the old mountainous villages of Pelion has a so called "plateia" - a small square shaded by high trees, with tables of one or two tavernas. 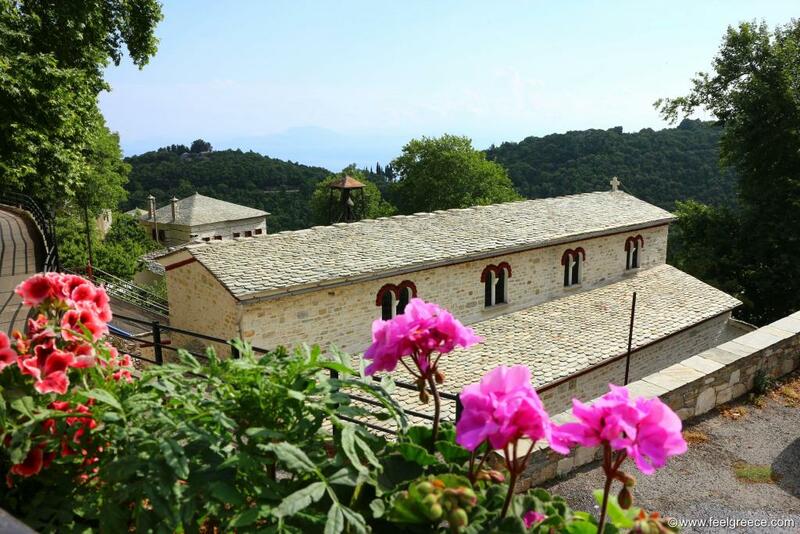 Tzasteni - the emblematic spot of Pelion. There is hardly any article about the peninsula without such a photo. Damouchari and its old harbor. Some scenes of the Mamma Mia! movie were shot here and the seafront tavernas overlook it. Views from Makrinitsa. 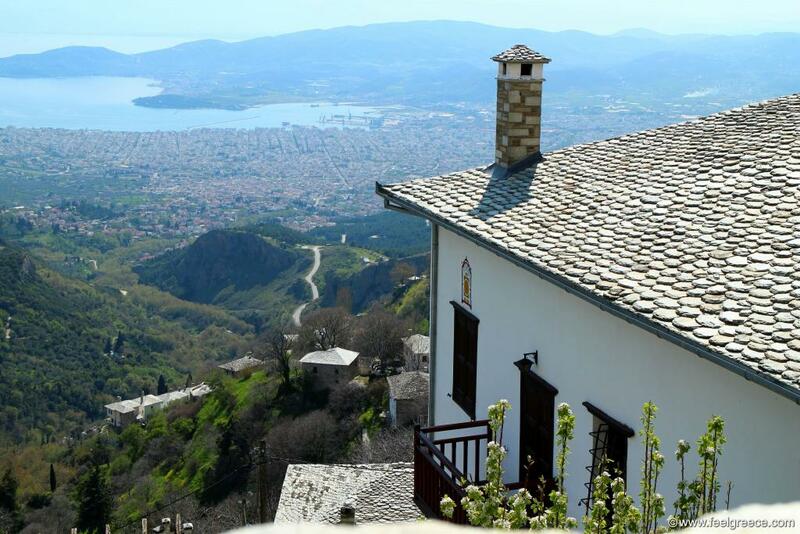 The amphitheatrically built village is called "the balcony of Mount Pelion". 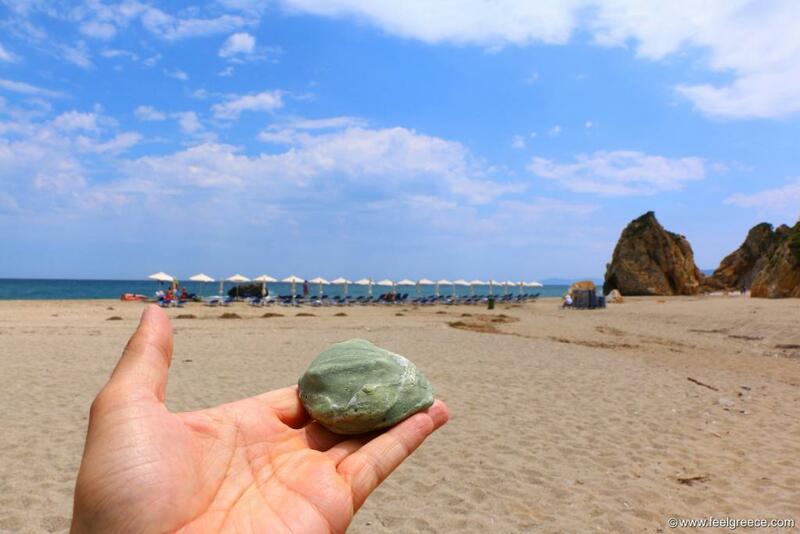 Green stones at Potistika beach. 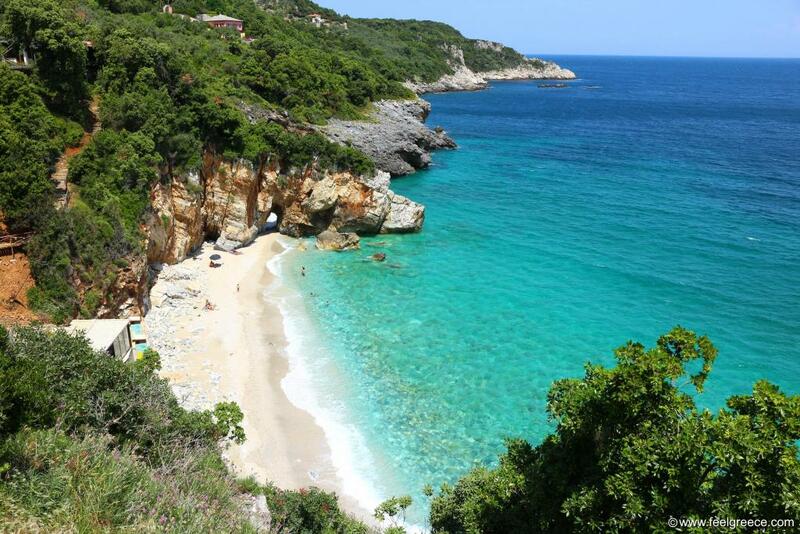 This sandy beach is characterized by reddish and greenish rocks around the shore and in the sea. 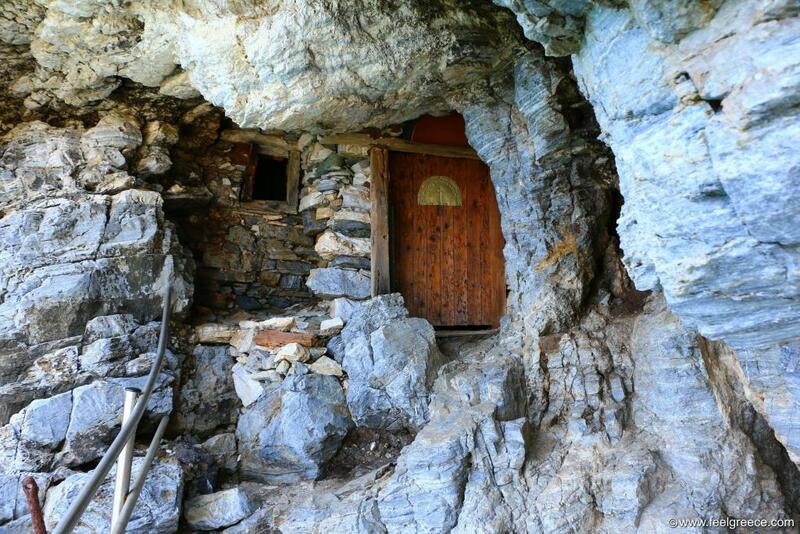 The small church of Panagia Megalomata carved in a rock. One of the least known sights of the peninsula, located right above a sea cave with the same name and next to the ruins of a hidden school. 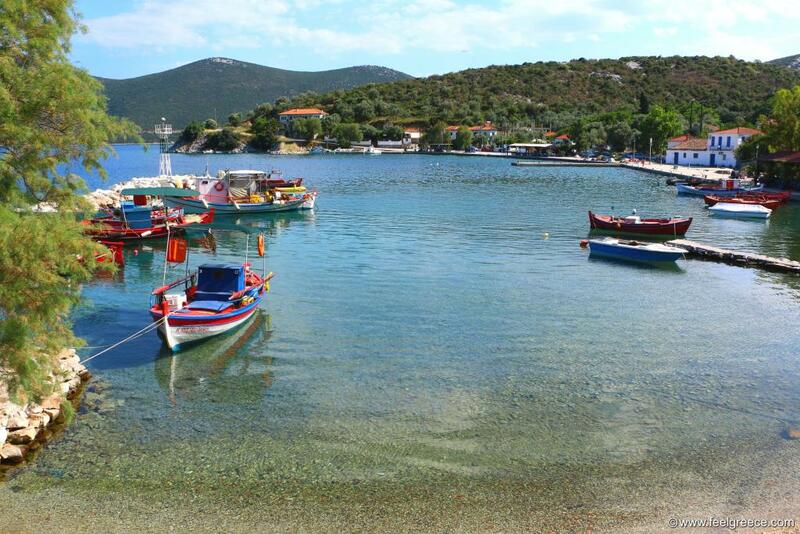 Kottes - a fishing harbor in the middle of nowhere. 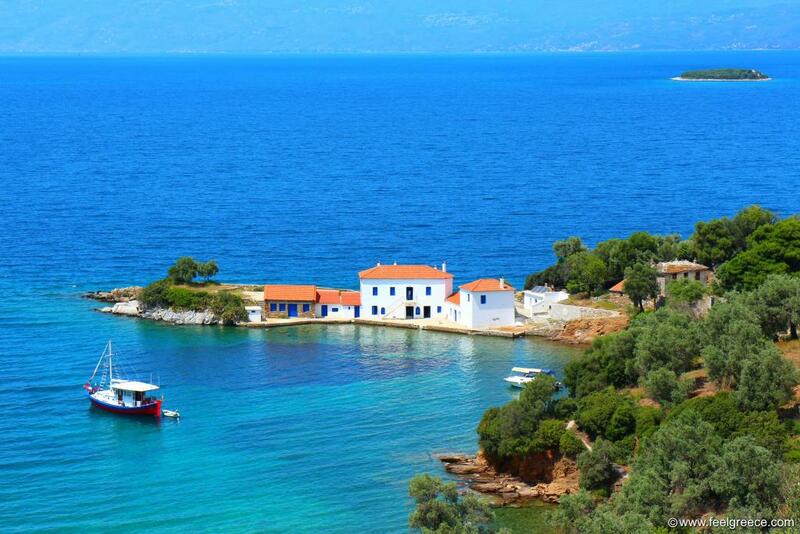 Worth visiting not only for the remote location but also for the fresh fish and lobsters served at the few tavernas. The village of Pinakates. All hotels follow the traditional architectural style for the region. 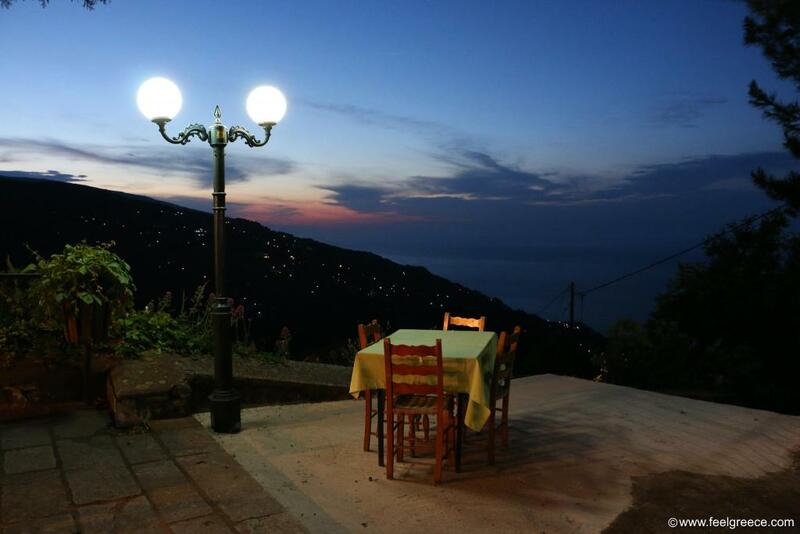 Evening at the square of Mouresi village. The sea looks delusively close due to the high altitude although it is 4 km away. The view however is quite romantic, especially at night.